Old vines make wines with a unique character. Wines that reflect the vastness of our South African landscape – our harsh climate, our old and sometimes fragile soils, and our complex culture. They reflect the decades of growing in one place, in the unyielding sun, the cold winter rain, the storms and winds, on a mountain, on a plain somewhere and then producing these delicate but powerful wines. To find out more, go to the Old Vine Project. Here are the links to the 3 part Old Vine Project feature, filmed by CNN. The Du Preez family bought Gevonden in the 1700’s from the Van Der Poel family, which later belonged to the De Wet family and is still owned by the Boonzaaier family, the 6th generation farmers and a direct descendent from the De Wet family. The first vineyards were planted by the 2 nd generation De Wet’s. Specifically the great grandfather of the current farmer, Janus Boonzaaier. Some of the first Hanepoot grapes were planted as early as 1880. But more specifically, we still make our beautiful Daschbosch Hanepoot from the vines that were planted in 1900. They even established a small cellar back in the 1900’s in which they made their own Hanepoot wine on a very small scale, the vineyards from which they harvested these grapes were planted as early as 40yrs before these new plantings were established. Old bush vines planted before 1900. Grapes were picked at 28 Balling and fermented on the skins for 24 hours. Grapes were pressed and fortified with wine spiritus. Aged in old barrels for 12 months. This farm initially formed part of the old Daschboschrivier farm. The first owners, the Neethling family, later sold the farm to the 2 nd generation Botha family. The current owner is Theuns Botha. The farm back then consisted of the homestead, grazing grounds for cattle and unique pockets of old vineyards. 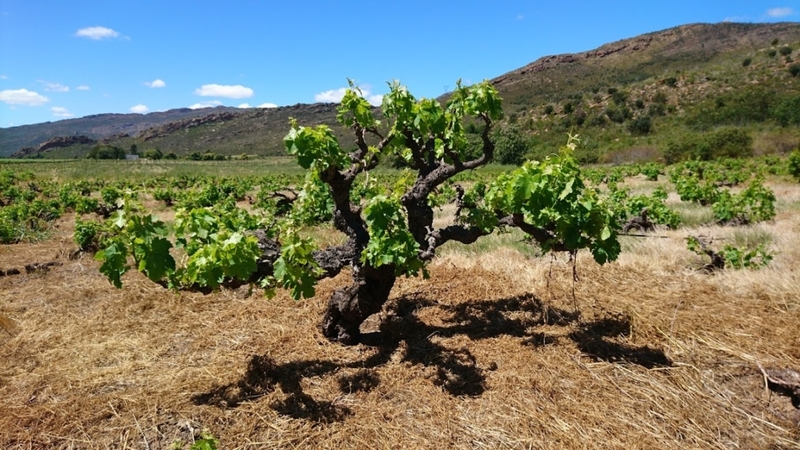 The old vineyard, Chenin Blanc (Steen) was planted in 1962. Wines to be released in 2019. In 1939 the Du Plessis family started farming on the farm, Avon, in the Breërivier Valley. The property consisted of a traditional homestead and farmer’s cellar on the premises. They built the cellar in 1944 and made garagiste style wine on a very small scale, typically with “Frans druif” and Hanepoot as it was widely known on the countryside. In 1970 the Hugo family bought the farm and mainly used it as grazing grounds for their cattle and only in 1977 did they plant the first Clairette Blanche on Avon. Recently, Isak Visagie, bought the farm from the Hugo’s and we will be launching the very first sample of their Clairette Blanche soon. Picked at 22.5 Balling. Hole bunch pressed and settled for 24 Hours. Racked to old barrel and fermented in barrel. Tick lees contact for 6 months with regular “Batonnage”. Racked from thick lees and Sulphur. New bottling to be launched at Cape Wine 2018.